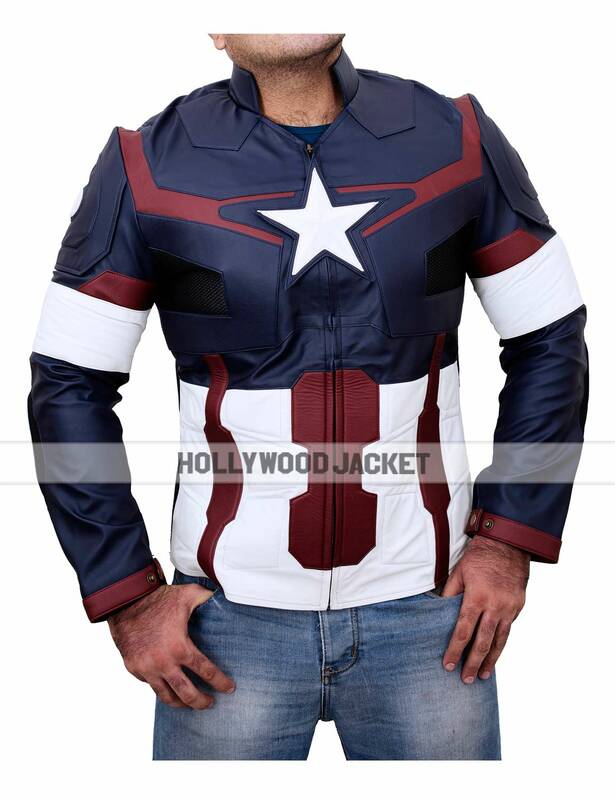 Captain America Steve Rogers outerwear is more attractive towards the real fans and we have offered you the very style statement from the Civil War film as Captain America Civil War Jacket. It has inspired millions across the world after it was depicted by Chris Evans, one of the charismatic actors in Hollywood. If you wish to summon the real-time reflection as the character then simply put yourself in front of mirror after outfitting this gimmick as Captain America Civil War Outfit, you will know the answer to this question. This click-able persona has been formatted with genuine leather / faux leather and also fulfills internal viscose lining. This attire has amazing designs that mirrors smoothly like the film. It holds erect collar design and front zipper closure with the bigger and better embarkation. 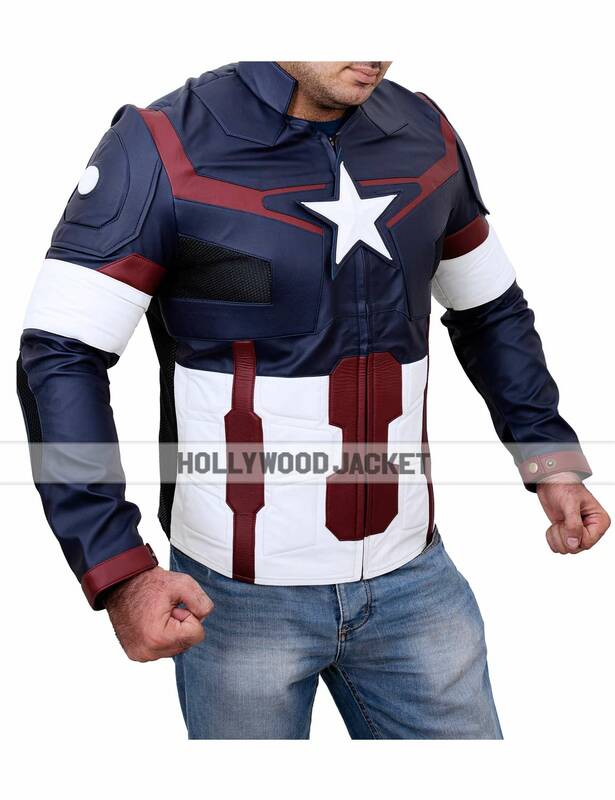 Its full length sleeves also covering buttoned tab cuffs while envelops two inside pockets. 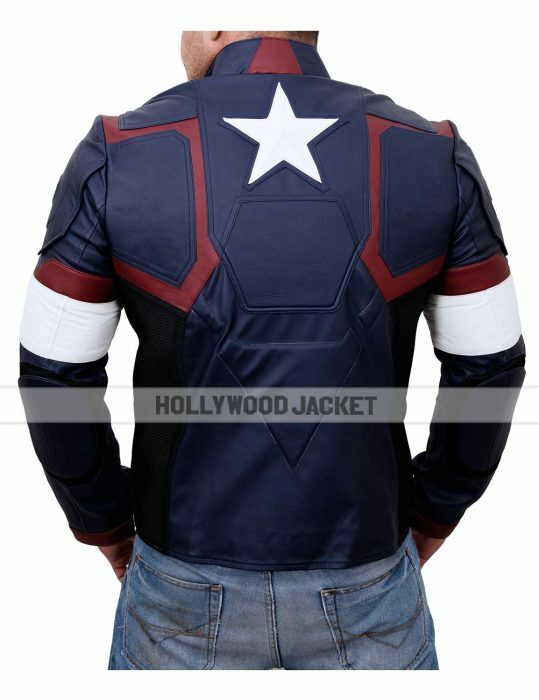 Captain America Civil War Leather Jacket embraces an attractive shade of blue and red white patriotic counter parts for supreme perfection in accordance with the bottom hemline.